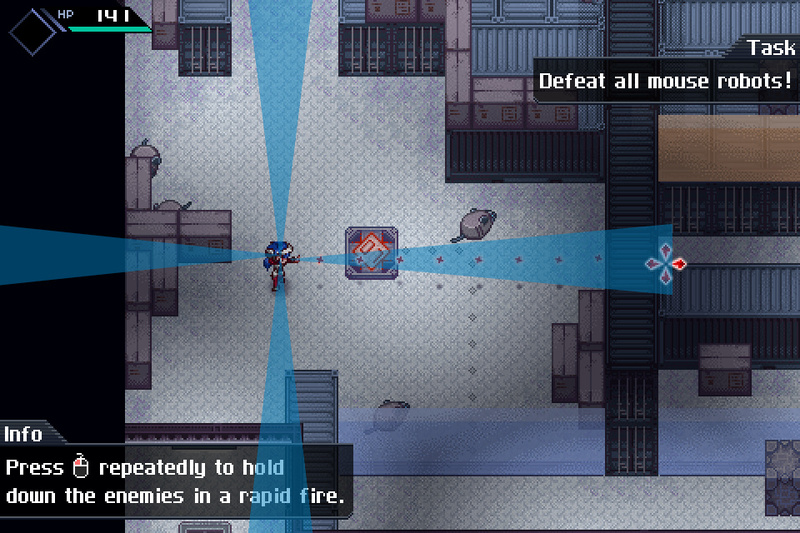 Browser-based action RPG CrossCode could be coming to the Wii U eShop, according to its developer Radical Fish Games. Speaking to Nintendo Enthusiast, the studio has expressed interest in porting the game to Nintendo's system, but pointed out that finishing the PC version remains the priority. CrossCode is built in HTML5, which would allow it to be ported to the Wii U with relative ease thanks to Nintendo's recently-announced Web Framework. You can check out some gameplay footage of CrossCode below, or try out the demo on the official site. Be sure to post a comment below to tell us what you think of this unique title. Gives me a Pokemon feel! I like it. I may try it to see how good it plays. As tempting as all the eShop games are, I am going to spend about a billion pounds on the VC when it opens and not have time to play these. I don't know why I get so bored by the idea of guns in games but I do. Still, less than a week to go now until we (hopefully) get some Darksiders news. I really enjoyed that demo! I wanted to play more. I'd definitely buy this if it came to the eShop. Awesome music, fun/unique gameplay and gorgeous sprite work. This has gotten me excited. Art style reminds me of Pokemon. Might check out the demo. Demo plays perfectly on the wii u. try it on your Wii U guys!! d-pad to move. touch screen to shoot and aim. first demo on wii u with infinite plays. I don't know why people are saying the art style looks like Pokemon. That's like saying Link to the Past looks like Pokemon. Quite an interesting little game. Will keep an eye on it, for sure. Looks cool! Hope it comes! Wii U is an Indie heaven! Bring it to the 3DS please. It's official, we are heading for another video game crash. Looks cool but the guy playing the tech demo is soooooooooo dumb. I know the developer behind this, though not personally. Lachsen was my personal hope of a well-developed RPG Maker game called "Velsarbor". I highly recommend getting it - even though it only exists in german and french, and is only a demo. But the stuff he does really shows off his detailed work, especially when it comes to animation. The Developers now have a Indiegogo campaign with a Wii U strech goal. just to let you guys know.